Copyright Notice: Personal use of all downloadable material is permitted. However, permission to reprint/republish this material for advertising or promotional purposes or for creating new collective works for resale or redistribution to servers or lists, or to reuse any copyrighted component of this work in other works, must be obtained from the corresponding publishers. All papers/reports with a PDF link or a logo are downloadable in the PDF format. Click on any of the column headers below to view the sorted list. Abstract: The advent of digital whole-slide scanners in recent years has spurred a revolution in imaging technology for histopathology. In order to encourage further interest in histopathological image analysis, we have organized a contest called "Pattern Recognition in Histopathological Image Analysis." This contest aims to bring some of the pressing issues facing the advance of the rapidly emerging field of digital histology image analysis to the attention of the wider pattern recognition and medical image analysis communities. Two sample histopathological problems are explored: counting lymphocytes and centroblasts. The background to these problems and the evaluation methodology are discussed. Abstract: Pattern recognition in histopathological image analysis requires new techniques and methods. Various techniques have been presented and some state of the art techniques have been applied to complex textural data in histological images. In this paper, we compare the novel Adaptive Discriminant Wavelet Packet Transform (ADWPT) with a few prominent techniques in texture analysis namely Local Binary Patterns (LBP), Grey Level Co-occurrence Matrices (GLCMs) and Gabor Transforms. We show that ADWPT is a better technique for Meningioma subtype classification and produces classification accuracies of as high as 90%. Abstract: Geo-spatial data on village locations, their size, population and other parameters is scarcely available to decision makers in many developing countries. In this paper, we demonstrate an automatic ?crawler? which can segment nucleated villages from satellite imagery freely available in public domain geographic information systems such as Google EarthTM. Our approach is to use frequency and color features to generate a number of weak classifiers, which are then combined through Adaboost to produce the final classifier. We use a total of 69 features in the generation of the weak classifiers, including phase gradients, cornerness measures and color features. Our primary dataset consists of 60 images having more than 345 million pixels and covering more than 100 km2 of area, containing nucleated villages in fifteen countries, spread over four continents and captured by different sensors. Using six manual annotations for ground-truth, we perform five-fold cross validation, using 25% of data for testing. Our results show an Equal Error Rate (EER) of around 3.4%. Using the trained classifier, we detect villages on a 50 km2 image (close to 184 million pixels) from a different site than the images used in training, and demonstrate highly accurate extraction of villages with 2.3% false positives and 0.01% false negatives. Click here for a one-page summary of the paper. Abstract: Over the past decade, dramatic increases in computational power and improvement in image analysis algorithms have allowed the development of powerful computer-assisted analytical approaches to radiological data. With the recent advent of whole slide digital scanners, tissue histopathology slides can now be digitized and stored in digital image form. Consequently, digitized tissue histopathology has now become amenable to the application of computerized image analysis and machine learning techniques. Analogous to the role of computer-assisted diagnosis (CAD) algorithms in medical imaging to complement the opinion of a radiologist, CAD algorithms have begun to be developed for disease detection, diagnosis, and prognosis prediction to complement the opinion of the pathologist. In this paper, we review the recent state of the art CAD technology for digitized histopathology. This paper also briefly describes the development and application of novel image analysis technology for a few specific histopathology related problems being pursued in the United States and Europe. Abstract: We present a novel iterative nonlinear filtering framework, termed multilateral filtering, based on the idea of generic local similarity. A set of local features is computed for each pixel using its local neighborhood. Two pixels are considered to be similar if the Euclidean distance between their corresponding feature vectors is small and vice versa. Multilateral filtering results in image smoothing while preserving edge and textural features. Our experimental results show that the proposed method produces comparable and often better results than the state-of-the-art denoising methods. Abstract: Computer aided diagnosis (CAD) is aimed at supporting the pathologists in their diagnosis. In this paper, we present an algorithm for texture-based classification of colon tissue patterns. In this method, a single band is selected from its hyperspectral cube and spatial analysis is performed using circular local binary pattern (CLBP) features. A novel method for feature selection is presented resulting in the best feature set without actually running the classifier. Classification results using Gaussian kernel SVM, with an accuracy of 90%, demonstrate that texture analysis based on CLBP features is able to distinguish the benign and malignant patterns. Abstract: Automatic classification of histology images, the objective of our research, is aimed at supporting the pathologists in their diagnosis. In this paper, we present a comparative study between 3D spectral/spatial analysis (SSA) and 2D spatial analysis (SA) for the classification of colon biopsy samples from their hyperspectral images. Classification results suggest that textural analysis of 2D bands can achieve comparable performance to 3D spectral/spatial analysis. Abstract: Intra-class variability in the texture of samples is an important problem in the domain of histological image classification. This issue is inherent to the field due to the high complexity of histology image data. A technique that provides good results in one trial may fail in another when the test and training data are changed and therefore, the technique needs to be adapted for intra-class texture variation. In this paper, we present a novel wavelet based multiresolution analysis approach to meningioma subtype classification in response to the challenge of data variation.We analyze the stability of Adaptive Discriminant Wavelet Packet Transform (ADWPT) and present a solution to the issue of variation in the ADWPT decomposition when texture in data changes. A feature selection approach is proposed that provides high classification accuracy. Abstract: The quotient space of all smooth and connected curves represented by a fixed number of boundary points is a finite-dimensional Riemannian manifold, also known as a shape manifold. This makes the preservation of locality a critically important issue when reducing the dimensionality of shapes on the manifold. We present a completely unsupervised clustering algorithm employing diffusion maps for locality-preserving embedding of shapes onto a much lower-dimensional space. The algorithm first obtains a non-linear low-dimensional embedding of shape context features of outer boundary contours of the shapes. Considering the embedded coordinates as a new minimalist representation of shapes, a clustering of shapes is obtained using a finite mixture model. The proposed clustering algorithm is computationally efficient, as it relies on clustering in a very low-dimensional space, and produces much improved results (88.6% for a 7-class dataset) as compared to clustering with conventional linear projections. Abstract: The problem of modelling objects of arbitrary complexity for video based rendering has been much studied in recent years, with the growing interest in `free viewpoint' video and similar applications. Typical approaches fall into two categories: those which approximate surfaces from dense depth maps obtained by generalisations of stereopsis methods and those which employ an explicit geometric representation such as a mesh. While the former has generality with respect to geometry, it is inevitably limited in terms of viewpoint; the latter, on the other hand, sacrifices generality of object geometry for freedom to pick an arbitary viewpoint. The purpose of the work reported here is to bridge this gap in object representation, by employing a surface element model, but one which is freed from the restrictions of a mesh. Estimation of the model and tracking it through time from multiple cameras is achieved by novel multiresolution stochastic simulation methods. After a brief outline of the method, its use in modelling human motions using data from the Warwick multicamera studio is presented to illustrate its e ectiveness compared to the current state of the art. Abstract: A particularly difficult task in molecular imaging is the analysis of fluorescence microscopy images of neural tissue, as they usually exhibit a high density of objects with diffuse signals. To automate synapse detection in such images, one has to simulate aspects of human pattern recognition skills to account for low signal-to-noiseratios. We propose a machine learning based method that allows a direct integration of the experts' visual expertise who tag a low number of referential synapses according to their degree of synapse likeness. The sensitivity and positive predictive values show that by using graded likeness information in our learning algorithm we can provide an intuitively tunable tool for neural tissue slide evaluation. Abstract: Nonlinear diffusion, proposed by Perona and Malik, is a well-known method for image denoising with edge preserving characteristics. Recently, nonlinear diffusion has been shown to be equivalent to iterative wavelet shrinkage, but only for (1) Mallat-Zhong dyadic wavelet transform and (2) Haar wavelet transform. In this paper, we generalize the equivalence of nonlinear diffusion to non-linear shrinkage in the standard discrete wavelet transform (DWT) domain. Two of the major advantages of the standard DWT are its simplicity (as compared to 1) and its potential to benefit from a greater range of orthogonal and biorthogonal filters (as compared to both 1 and 2). We also extend the wavelet diffusion implementation to multiple scales. The qualitative and quantitative results shown for a variety of images contaminated with noise demonstrate the promise of the proposed standard wavelet diffusion. Abstract: The inherent complexity and non-homogeneity of texture makes classification in medical image analysis a challenging task. In this paper, we propose a combined approach for meningioma subtype classification using subband texture (macro) features and micro-texture features. These are captured using the Adaptive Wavelet Packet Transform (ADWPT) and Local Binary Patterns (LBPs), respectively. These two different textural features are combined together and used for classification. The effect of various dimensionality reduction techniques on classification performance is also investigated. We show that high classification accuracies can be achieved using ADWPT. Although LBP features do not provide higher overall classification accuracies than ADWPT, it manages to provide higher accuracy for a meningioma subtype that is difficult to classify otherwise. 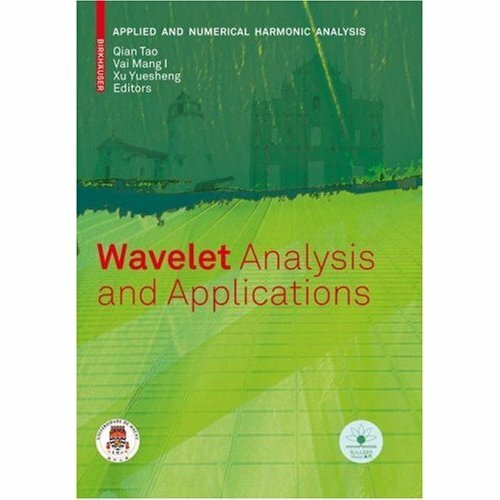 Abstract: Wavelets based analysis has been used frequently in literature for texture analysis and features extraction. 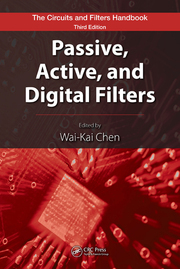 Due to the availability of many wavelet filters, the issue of the selection of the optimal filter for a certain problem has always been an interesting research problem. In this paper, we present a study and comparative analysis of various wavelet filters for the problem of texture classification. The results are quite interesting as they identify wavelet properties that are desirable for wavelet based textural analysis and classification of meningioma subtypes. Abstract: Ultrasound images are characterized by their special speckle appearance, low contrast, and low signal-to-noise ratio. It is always challenging to extract important clinical information from these images. An important step before formal analysis is to transform the image to significant features of interest. Intensity based methods do not perform particularly well on ultrasound images. However, it has been previously shown that these images respond well to local phase-based methods which are theoretically intensity-invariant and thus suitable for ultrasound images. We extend the previous local phase-based method to detect features using the local phase computed from monogenic signal which is an isotropic extension of the analytic signal. We apply our method of multiscale feature-asymmetry measurement and local phase-gradient computation to cardiac ultrasound (echocardiography) images for the detection of endocardial, epicardial and myocardial centerline. stochastic model of object structure: a multiresolution Gaussian mixture. Estimation of the model and tracking it through time from multiple cameras is achieved by a multiresolution stochastic simulation. After a brief outline of the method, its use in modelling human motion using data from local and other sources is presented to illustrate its e ectiveness compared to the current state of the art. Abstract: Shape related signatures of nuclei in a tissue section are important for diagnosis and prognosis of cancer. Understandably, the process of demarcation of nuclei for cytometry with high degree of confidence is the most difficult part as the tissue section is fraught with staining artifacts and frequently contains other objects such as overlapping nuclei, nuclear debris, and extracellular structures. In this paper, we address this problem using a novel clustering algorithm for various shapes in prostate histopathology images using an unsupervised manifold learning paradigm. Experimental results with two-dimensional embedding of the shapes using diffusion maps demonstrate that various shapes in the tissue section are organized in accordance to the degree of complexity of their boundaries. This important observation can be exploited in the development of computerized techniques for image based cytometry. Abstract: The demanding step in the development of ancillary systems for the diagnosis of cancer and other diseases based on nuclear morphometry is the delineation of nuclei in the images of stained tissue sections. Various constituents of the tissue section such as cellular and extra-cellular elements, staining artefacts, debris of nuclei, and clusters of overlapping nuclei apart from the image acquisition noise to name a few contribute in the complexity of the task. In this paper, we pose the problem of selection of nuclei in tissue section as classification of shapes using manifold learning on training images followed by out-of-sample extension for unknown test images. Experimental results demonstrate the effectiveness of the proposed algorithm. Abstract: Video based rendering algorithms attempt to render videos of a scene from an arbitrary viewpoint, given a set of video sequences taken from several fixed viewpoints. These algorithms require either a dense camera array or some knowledge of scene structure. By applying sequential MCMC methods, we show it is possible to efficiently estimate visible surfaces. Surfaces are tracked using a particle filter which takes advantage of both frame-to-frame dependancies, and a hierarchical surface model derived from a multiresolution Gaussian mixture model analysis of the surfaces. This time-varying surface model, and the images, are input for a rendering algorithm which uses a fuzzy z-buffer and projective texturing to generate reconstructions. Abstract: The histopathological analysis of colon biopsy samples is a very important part of screening for colorectal cancer. There is, however, significant inter-observer and even intra-observer variability in the results of such analysis due to its very subjective nature. Therefore, quantitative methods are required for the analysis of histopathological images to aid the histopatholgists in their diagnosis. In this paper, we exploit the shape and structure of the gland nuclei cells for the classification of colon biopsy samples using two-dimensional principal component analysis (2DPCA) and Support Vector Machine (SVM). We conclude that the use of textural features extracted from non-overlapping blocks of the histopathological images results in a non-linear decision boundary which can be efficiently exploited using a SVM with appropriate choice of parameters for its Gaussian kernel. The SVM classifier outperforms all the remaining methods by a clear margin. Abstract: The problem of visible surface estimation for image-based rendering is tackled using a new approach, which combines visual hull and surface estimation techniques. It is shown that the new method combines the best features of both approaches, being more robust than direct surface element estimation and more flexible than the visual hull. The new method uses an estimate of the visual hull as a prior on the ill-posed problem of surface element estimation. To improve the computational preformance of the algorithm, a multiresolution approach to surface patch estimation is used. The patches thus estimated can then be tracked over time, to provide an accurate model of the surface geometry, which is then used for estimation of the scene from arbitrary viewpoints. After a brief description of the algorithm, results are presented to show the improvement in performance which can be obtained using either technique alone. The paper concludes with a discussion of extensions to the work currently under investigation. Abstract: This paper describes a novel method to perform video based rendering. By capturing a set of real video sequences of a scene, the aim is to render a video sequence, in real time, from any viewpoint. By modelling the surfaces of a scene as a set of disjoint planar patches, we are able to efficiently estimate the parameters of the scene geometry. The patches can then be tracked over time using a multiresolution hierarchy. This time-varying surface model, and the images, are the input for the rendering algorithm, which uses a fuzzy z-buffer and projective texturing to generate reconstructions. Abstract: The idea of multiresolution analysis has been around for over two decades now. In this paper, we explore a multiresolution analysis based technique for histopathological image classification and compare it with raw image analysis. The principle idea for the former is to derive an optimal wavelet representation, called Adaptive Discriminant Wavelet Packet Transform (ADWPT), of the images in order to achieve the largest discrimination power. Our results show that the textural features combined with ADWPT yield a significant improvement in classification accuracy. Abstract: Classical shape analysis methods use principal component analysis to reduce the dimensionality of shape spaces. The basic assumption behind these methods is that the subspace corresponding to the major modes of variation for a particular class of shapes is linearised. This may not necessarily be the case in practice. In this paper, we present a novel method for extraction of the intrinsic parameters of multiple shape classes in an unsupervised manner. The proposed method is based on learning the global structure of shape manifolds using diffusion maps. We demonstrate that the method is effective in separating the members of different shape classes after embedding them into a low-dimensional Euclidean space. Abstract: Motivated by the self-assembling behavior of real ants, we present a novel algorithm for texture segmentation which is based on ant tree clustering of wavelet features. In a pattern recognition setting, wavelet features are extracted using either of the two subband filtering methods: discrete wavelet transform (DWT) or discrete wavelet packet transform (DWPT). The feature classification process is inspired by the self-assembling behavior observed in real ants where ants progressively become attached to an existing support and then successively to other attached ants thus building trees based on the similarity of feature vectors. The results thus obtained compare favorably to those of other recently published filtering based texture segmentation algorithms. Abstract: In this paper, we present a novel texture classification algorithm inspired by the self-assembling behavior of real ants when building live structures with their bodies. The proposed algorithm employs dyadic Gabor filter banks for extracting discriminant features from images containing multiple textures not known to the algorithm. The feature space is clustered using the novel ant tree clustering (ATC) algorithm based on the similarity of ants carrying the feature vectors. The results thus obtained show promise of the proposed approach. Abstract: Diagnosis and cure of colon cancer can be improved by efficiently classifying the colon tissue cells from biopsy slides into normal and malignant classes. This paper presents the classification of hyperspectral colon tissue cells using morphology of gland nuclei of cells. The application of hyperspectral imaging techniques in medical image analysis is a new domain for researchers. The main advantage of using hyperspectral imaging is the increased spectral resolution and detailed subpixel information. The proposed classification algorithm is based on the subspace projection techniques. Support vector machine, with 3rd degree polynomial kernel, is employed in final set of experiments. Dimensionality reduction and tissue segmentation is achieved by Independent Component Analysis (ICA) and k-means clustering. Morphological features, which describe the shape, orientation and other geometrical attributes, are extracted in one set of experiments. Grey level co-occurrence matrices are also computed for the second set of experiments. For classification, kernel discriminant analysis (LDA) with co-occurrence features gives comparable classification accuracy to SVM using a gaussian kernel. The algorithm is tested on a limited set of samples containing ten biopsy slides and its applicability is demonstrated with the help of measures such as classification accuracy rate and the area under the convex hull of ROC curves. Abstract: Image based rendering techniques allow reconstructions of a scene from an arbitrary viewpoint, given views of the scene. In this paper a locally planar representation of the scene structure is presented, where each block of pixels in the input images is assumed to correspond to some patch of an object?s surface. A multi-resolution particle filter method of estimating the position and orientation of these patches is described. This method offers fast computation without sacrificing accuracy. The estimated patches often include a significant amount of redundant information. We present an algorithm for identifying this redundancy and producing a compressed data set. Finally we introduce a simple, fast, algorithm for generating reconstructions of the scene. Results on both synthetic and real data sets are presented to demonstrate the effectiveness of our techniques. Abstract: This paper presents a novel texture-based algorithm for detecting certain kinds of meningiomas in images of neurosurgical resections. The algorithm employs Discriminant Wavelet Packet Transform (DWPT) and Learning Vector Quantization (LVQ). The adaptive DWPT of a test image is computed by maximizing the discrimination power of subbands during the basis selection process for the training images. The discrimination power of a subband is computed with the help of Hellinger distance between pseudo probability density functions of the subband. Statistical features are then obtained for each of the top few most discriminant subbands and finally LVQ is trained and subsequently used for detection. The proposed methodology produces promising results for the multiple class meningioma classification problem with near-perfect results for detection of certain kind of meningiomas. Abstract: Light fields are known for their potential in generating 3D reconstructions of a scene from novel viewpoints without need for a model of the scene. Reconstruction of novel views, however, often leads to ghosting artefacts, which can be relieved by correcting for the depth of objects within the scene using disparity compensation. Unfortunately, reconstructions from this disparity information suffer from a lack of information on the orientation and smoothness of the underlying surfaces. In this paper, we present a novel representation of the surfaces present in the scene using a planar patch approach.We then introduce a reconstruction algorithm designed to exploit this patch information to produce visually superior reconstructions at higher resolutions. Experimental results demonstrate the effectiveness of this reconstruction technique using high quality patch data when compared to traditional reconstruction methods. Abstract: Light fields can be used to generate photorealistic renderings of a scene from novel viewpoints without need for a model of the scene. Reconstruction of a novel view, however, often leads to ghosting artefacts, which can be relieved by correcting for the depth of objects within the scene using disparity compensation. Disparity estimation offers a solution to both better reconstruction and compression of large amounts of data in light fields. In this paper, we present two novel methods of disparity estimation for light fields: a global method based on the idea of photo-consistency and a local method which employs wavelet subbands for initial disparity estimation and Kalman filtering to refine the estimates. Experimental results demonstrate the effectiveness of the two methods as compared to other photo-consistency based disparity estimation techniques. Abstract: Light fields are known for their potential in generating reconstructions of a scene from novel viewpoints without need for a model of the scene. Reconstruction of novel views, however, often leads to ghosting artefacts, which can be relieved by correcting for the depth of objects within the scene using disparity compensation. Unfortunately, reconstructions from the disparity information suffer from a lack of information on the orientation and smoothness of the underlying surfaces. In this paper, we propose a novel representation of the surfaces present within a scene using a planar patch approach. We discuss the process of estimating patches and introduce a reconstruction algorithm designed to exploit this patch information to produce visually superior reconstructions at higher resolutions. Experimental results demonstrate the effectiveness of this reconstruction technique when compared to traditional reconstruction methods. Abstract: Gait recognition can be regarded as a problem of uniquely representing spatiotemporal surfaces associated with a person?s walking pattern in an efficient manner. In this paper, we describe the approach of using projections of such surfaces onto subspace spanned by appropriate axes using a single framework. Two new algorithms for gait recognition are presented which use projection on subspace of kernel induced higher dimensional spaces using PCA and Fisher?s LDA. Wavelet transform in 3D is used to reduce the complexity of the problem. The proposed methods have been applied to datasets containing subjects walking at three different viewing angles in outdoor environment. The results show high accuracy results for recognizing subjects from their gait, even with a thumbnail size (16×16×12) of the gait patterns. Abstract: Motivated by the fact that in images, there is usually a presence of local strongly oriented harmonics, a representation which is both well-localised in frequency and orientation is desirable to efficiently describe such oriented harmonic features. Here we introduce a family of multiscale trigonometric bases for a bi-variate function called the multiscale directional cosine bases for image denoising tasks. Our results show the promise of the new bases which almost consistently outperform other image representation bases on natural images. Abstract: Motivated by the fact that in natural images, there is usually a presence of local strongly oriented features such as directional textures and linear discontinuities, a representatio which is both well-localised in frequency and orientation is desirable to efficiently describe those oriented features. Here we introduce a family of multiscale trigonometric bases for image processing using Fourier-type constructions, namely, the multiscale directional cosine transform and the multiscale Fourier transform. We also show that by seeking an adaptive basis locally, the proposed bases are able to capture both oriented harmonics as well as discontinuities, although the complexity of such adaptiveness varies significantly. We conducted denoising experiments with the proposed bases and the results show great promise of the proposed directional wavelet bases. Abstract: In this paper, we present a novel algorithm for restoration of noisy video sequences. A video sequence is first transformed into an optimal 3D wavelet domain using basis functions adapted to the contents of the sequence. Assuming that all the major spatiotemporal frequency phenomena present in the sequence produce high amplitude transform coefficients, a modified form of the BayesShrink thresholding method is used to suppress the noise. In order to reduce the effects of Gibbs phenomenon in the restored sequence, translation dependence is removed by averaging the restored instances of the shifted sequence. The algorithm yields promising results in terms of both objective and subjective quality of the restored sequence. Abstract: We present a novel texture classification algorithm using 2-D discrete wavelet transform (DWT) and support vector machines (SVM). The DWT is used to generate feature images from individual wavelet subbands, and a local energy function is computed corresponding to each pixel of the feature images. This feature vector is first used for training and later on for testing the SVM classifier. The experimental setup consists of images from the Brodatz and MIT VisTeX texture databases and a combination of some images therein. The proposed method produces promising classification results for both single and multiple class texture analysis problems. Abstract: In this paper, analytical modelling of the operational R-D characteristics that can significantly reduce the computational complexity of an optimal bit allocation algorithm is studied. Two new models namely average distortion-rate function and the low bit rate model are also proposed. Comparative results for operational R-D curve fitting using these two models are presented. Preliminary results show that the exponential-polynomial model often gives a better fit than all the other models studied. Model based bit allocation algorithm employed in an image coding framework gives promising results for overall visual quality. Abstract: A novel algorithm to discriminate between normal and malignant tissue cells of the human colon is presented. The microscopic level images of human colon tissue cells were acquired using hyperspectral imaging technology at contiguous wavelength intervals of visible light. While hyperspectral imagery data provides a wealth of information, its large size normally means high computational processing complexity. Several methods exist to avoid the so-called curse of dimensionality and hence reduce the computational complexity. In this study, we experimented with Principal Component Analysis (PCA) and two modifications of Independent Component Analysis (ICA). In the first stage of the algorithm, the extracted components are used to separate four constituent parts of the colon tissue: nuclei, cytoplasm, lamina propria, and lumen. The segmentation is performed in an unsupervised fashion using the nearest centroid clustering algorithm. The segmented image is further used, in the second stage of the classification algorithm, to exploit the spatial relationship between the labeled constituent parts. Experimental results using supervised Support Vector Machines (SVM) classification based on multiscale morphological features reveal the discrimination between normal and malignant tissue cells with a reasonable degree of accuracy. Abstract: Ant colony system (ACS) is a combinatorial optimization method motivated by the behaviour of real ants. In this paper, we present a novel image coding method based on ACS vector quantization of groups of wavelet coefficients. The generation of codebook using ACS is facilitated by representing the coefficient vectors in a bidirectional graph, followed by defining a suitable mechanism of depositing pheromone on the edges of graph. Experimental results show that the quantization of zerotree vectors using ACS outperforms, in most cases, its traditionally used Linde-Buzo-Gray (LBG) counterpart. Abstract: Locally planar structures, formed by sweeping edges of objects, are commonly found in video sequences and convey most of the useful information. In this paper, the issue of efficient representation of such structures is addressed. We propose a novel representation tool which uses basis functions, termed as planelets, resembling planar structures and having compact support in space-time and spatiotemporal frequency. The representation is translation invariant, offers good directional selectivity, and can be computed efficiently. We show that the new representation, while being fast, produces video denoising results which compare favourably to one of the best known methods. Abstract: The classification of normal and malginant colon tissue cells is crucial to the diagnosis of colon cancer in humans. Given the right set of feature vectors, Support Vector Machines (SVMs) have been shown to perform reasonably well for the classification [4,13]. In this paper, we address the following question: how does the choice of a kernel function and its parameters affect the SVM classification performance in such a system? We show that the Gaussian kernel function combined with an optimal choice of parameters can produce high classification accuracy. Abstract: In this paper, we describe a novel content-based image signature for authentication using the ridgelet transform. The signature is extracted from the Radon domain and entropy coded after a 1D wavelet transform, which is essentially the so-called "ridgelet transform". Unlike traditional authentication signatures, it has the ability to localise tampering at a high resolution, and is robust to content-preserving manipulations such as compression and allows a progressive authentication. Abstract: We report on the development of an adaptive wavelet image coder based on stack-run representation of the quantized coefficients. The coder works by selecting an optimal wavelet packet basis for the given image and encoding the quantization indices for significant coefficients and zero runs between coefficients using a 4-ary arithmetic coder. Due to the fact that our coder exploits the redundancies present within individual subbands, its addressing complexity is much lower than that of the wavelet zerotree coding algorithms. Experimental results show coding gains of up to 1:4dB over the benchmark wavelet coding algorithm. Abstract: The computational complexity of a texture classification algorithm is limited by the dimensionality of the feature space. Although finding the optimal feature subset is a NP-hard problem [Boz, 2002], a feature selection algorithm that can reduce the dimensionality of problem is often desirable. In this paper, we report work on a feature selection algorithm for texture classification using two subband filtering methods: a full wavelet packet decomposition and a Gabor type decomposition. The value of a cost function associated with a subband (feature) is used as a measure of relevance of that subband for classification purposes. This leads to a fast feature selection algorithm which ranks the features according to their measure of relevance. Experiments on a range of test images and both filtering methods provide results that are promising. Abstract: Image coding methods based on adaptive wavelet transforms and those employing zerotree quantization have been shown to be successful. We present a general zerotree structure for an arbitrary wavelet packet geometry in an image coding framework. A fast basis selection algorithm is developed; it uses a Markov chain based cost estimate of encoding the image using this structure. As a result, our adaptive wavelet zerotree image coder has a relatively low computational complexity, performs comparably to state-of-the-art image coders, and is capable of progressively encoding images. Abstract: Wavelet packets are well-known for their ability to compactly represent textures consiting of oscillatory patterns such as fingerprints or striped cloth. In this paper, we report recent work on representing both periodic and granular types of texture using adaptive wavelet basis functions. The discrimination power of a wavelet packet subband can be defined as its ability to differentiate between any two texture classes in the transform domain, consequently leading to better classification results. The problem of adaptive wavelet basis selection for texture analysis can, therefore, be solved by using a dynamic programming approach to find the best basis from a library of orthonormal basis functions with respect to a discriminant measure. We present a basis selection algorithm which extends the concept of 'Local Discrminant Basis' (Saito and Coifman, 1994) to two dimensions. The problem of feature selection is addressed by sorting the features according to their relevance as described by the discriminant measure, which has a significant advantage over other feature selection methods that both basis selection and reduction of dimensionality of the feature space can be done simultaneously. We show that wavelet packets are good at representing not only oscillatory patterns but also granular textures. Comparative results are presented for four different distance metrics: Kullback-Leibler (KL) divergence, Jensen-Shannon (JS) divergence, Euclidean distance, and Hellinger distance. Initial experimental results show that Hellinger and Euclidean distance metrics may perform better as compared to other cost functions. Abstract: Segmentation is an early stage for the automated classification of tissue cells between normal and malignant types. We present an algorithm for unsupervised segmentation of images of hyperspectral human colon tissue cells into their constituent parts by exploiting the spatial relationship between these constituent parts. This is done by employing a modification of the conventional wavelet based texture analysis, on the projection of hyperspectral image data in the first principal component direction. Results show that our algorithm is comparable to other more computationally intensive methods which exploit the spectral characteristics of the hyperspectral imagery data. Abstract: A novel approach to the removal of noise from threedimensional image data is described. The image sequence is represented using a non-adaptive wavelet basis, carefully chosen for its ability to compactly represent locally planar surfaces. This is important in many 3-D applications, including video sequences, where they represent moving luminance edges, and medical volume data, where they represent the interfaces between tissue and bone, for example. The new basis, called a Fourier-Wavelet Basis, is an extension of the complex wavelet bases which have been increasing in popularity in recent years. Because transformation to the new basis is efficient computationally, the overall denoising algorithm is highly efficient. The success of the approach is demonstrated using a noisy video sequence and a noisy human knee MR image volume. Abstract: In the context of transform coding of still images, the distribution of high frequency transform coefficients has been approximated by a Laplacian distribution. In this short paper, an efficient way of simulating the rate-distortion behaviour of a memoryless Laplacian source is presented. Simulation results show that the estimated behaviour very closely matches the empirical one. Abstract: This paper addresses the issue of selecting features from a given wavelet packet subband decomposition that are most useful for texture classification in an image. A functional measure based on Kullback-Leibler distance is proposed as a way to select most discriminant subbands. Experimental results show a superior performance in terms of classification error rates. Abstract: We report on a family of variable-length codes with less redundancy than the flat code used in most of the variable size dictionary-based compression methods. The length of codes belonging to this family is still bounded above by [log_2/ |D|] where |D| denotes the dictionary size. We describe three of these codes, namely, the balanced code, the phase-in-binary code (PB), and the depth-span code (DS). As the name implies, the balanced code is constructed by a height balanced tree, so it has the shortest average codeword length. The corresponding coding tree for the PB code has an interesting property that it is made of full binary phases, and thus the code can be computed efficiently using simple binary shifting operations. The DS coding tree is maintained in such a way that the coder always finds the longest extendable codeword and extends it until it reaches the maximum length. It is optimal with respect to the code-length contrast. The PB and balanced codes have almost similar improvements, around 3% to 7% which is very close to the relative redundancy in flat code. The DS code is particularly good in dealing with files with a large amount of redundancy, such as a running sequence of one symbol. We also did some empirical study on the codeword distribution in the LZW dictionary and proposed a scheme called dynamic block shifting (DBS) to further improve the codes' performance. Experiments suggest that the DBS is helpful in compressing random sequences. From an application point of view, PB code with DBS is recommended for general practical usage. Abstract: We report on the performance evaluation of greedy parsing with a single step lookahead (which we call flexible Parsing or FP as an alternative to the commonly used greedy parsing (with no-lookaheads) scheme. Greedy parsing is the basis of most popular compression programs including UNIX compress and gzip, however it usually results in far from optimal parsing/compression with regard to the dictionary construction scheme in use. Flexible parsing, however, is optimal [MS99], i.e. partitions any given input to the smallest number of phrases possible, for dictionary construction schemes which satisfy the prefix property throughout their execution. We focus on the application of FP in the context of the LZW variant of the Lempel-Ziv'78 dictionary construction method [Wel84, ZL78], which is of considerable practical interest. We implement two compression algorithms which use (1) FP with LZW dictionary (LZW-FP), and (2) FP with an alternative flexible dictionary (FPA as introduced in [Hor95]). Our implementations are based on novel on-line data structures enabling us to use linear time and space. We test our implementations on a collection of input sequences which includes textual files, DNA sequences, medical images, and pseudorandom binary files, and compare our results with two of the most popular compression programs UNIX compress and gzip. Our results demonstrate that flexible parsing is especially useful for non-textual data, on which it improves over the compression rates of compress and gzip by up to 20% and 35%, respectively. Abstract: In this paper, work on a new wavelet packet basis selection paradigm is reported which emphasizes the crucial role of the quantization strategy being used. This paradigm is coupled with a new Markov chain based estimation of the cost of zerotree quantization to develop a progressive wavelet packet image coder which gives better results than its wavelet counterpart. Abstract: We report on the performance evaluation of greedy parsing with a single step lookahead, denoted as flexible parsing. We also introduce a new fingerprint based data structure which enables efficient, linear time implementation. Abstract: Wavelet packets are an effective representation tool for adaptive waveform analysis of a given signal. We first combine the wavelet packet representation with zerotree quantization for image coding. A general zerotree structure is defined which can adapt itself to any arbitrary wavelet packet basis. We then describe an efficient coding algorithm based on this structure. Finally, the hypothesis for prediction of coefficients from coarser scale to finer scale is tested and its effectiveness is compared with that of zerotree hypothesis for wavelet coefficients. Abstract: We report on the implementation and performance evaluation of greedy parsing with lookaheads for dynamic dictionary compression. Specifically, we consider the greedy parsing with a single step lookahead which we call Flexible Parsing (FP) as an alternative to the commonly used greedy parsing (with no-lookaheads) scheme. Greedy parsing is the basis of most popular compression programs including unix compress and gzip, however it does not necessarily achieve optimality with regard to the dictionary construction scheme in use. Flexible parsing, however, is optimal, i.e., partitions any given input to the smallest number of phrases possible, for dictionary construction schemes which satisfy the prefix property throughout their execution. There is an on-line linear time and space implementation of the FP scheme via the trie-reverse-trie pair data structure [MS98]. In this paper, we introduce a more practical, randomized data structure to implement FP scheme whose expected theoretical performance matches the worst case performance of the trie-reverse-trie-pair. We then report on the compression ratios achieved by two FP based compression programs we implemented. We test our programs against compress and gzip on various types of data on some of which we obtain up to 35% improvement. Created by Nasir Rajpoot using JabRef on Jul 19, 2010.